Trevor Corboy graduated in December and, as required, wound up his student employment in the state CD office last week. He joined us as a first semester freshman in November 2012 and since that time has assisted Sandy, me, and many of you with a variety of tasks. In addition to working with us, T-man juggled full-time coursework and part-time employment at a local Tractor Supply, as well as work at the Clermont County Extension office and at the family business nearly 100 miles away. His dedication enabled us as individuals and as a program area to reach new heights. While we will miss Mr. T in the state office (yes, Sandy plans to recruit new student help), I am excited to announce that he will be joining the CD staff as a Program Coordinator in Clermont County beginning March 7. This position is one of two ‘seeded’ CD positions, both of which are fully state CD funded for 12 months. 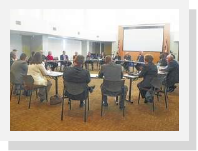 We’ll be involving the Clermont County folks in as much of our high-impact programming as possible in that time frame in hopes of identifying local cost share support beyond the initial 12 months. Please extend a warm welcome to Trevor (corboy.3@osu.edu) and be at the ready to offer programming support. It is with mixed emotion that I inform you that today is Rachel Crusey Schrock’s last day with CFAES. As a member of the Extension business office staff and now CFAES financial service center, Rachel has served as the state CD business office rep since August 2011. During this time I have found her to be an invaluable advisor and sounding board for all things financially related. Many of you with program funds residing with the state CD office may also recall receiving regular financial reports generated by Rachel. Fortunately for us, she is not getting too far away that we can’t still visit. Rachel begins her new position as academic coordinator with the department of Physics (one of the largest departments at OSU and two bus stops to the east) on March 1. Best wishes, Rachel! Words can’t express my excitement for what is planned to share and learn and foster a sense of team. We’ll be building on the ‘Futuring’ work with Becky Nesbitt, learning more about writing for blogs with ‘ed tech’ Danae Wolfe, having lunch with Extension director Roger Rennekamp, talking NACDEP with Godwin Apaliyah and Laura Fuller, and discussing our 2018 NACDEP Annual Conference proposal with David Civittolo. We’ll also have Eric Romich, Nancy Bowen, Susan Colbert, and Tom Blaine sharing thoughts on curriculum, applied research, programs, and teaching (respectively). It will be a big day designed to make our work even better. Hope to see you there! Speaking of great work, our 2015 CD Highlights can be found here. Please feel free to share with your various stakeholders as you see fit. If you would like to provide the four-page document to an upcoming audience but don’t have the ability to print in color, let us know with enough advance notice and we can provide copies. One of our colleagues in the department of AEDE, Mark Partridge, was highlighted in a departmental posting last week. In it, he talks about trends in regional science as well as burgers and fries. You can read more here. Tired of conference calls like this (warning: funny video)? Join Ed Techs on Friday, March 4 from 10-11 a.m. for their monthly Coffee Break with an Ed Tech. Tips and tricks for using Carmen Connect will be the topic of discussion, with some time to answer your ed tech questions. To join the Coffee Break, use this link. To learn more about First Friday Coffee Breaks, visit the Ed Tech blog. The SENR Spring 2016 Seminar Series continues on March 10 from 4 to 5:30 p.m. in 164 Howlett Hall. The speaker will be Carol Collier, Senior Advisor for Watershed Management and Policy, Academy of Natural Sciences of Drexel University, and Former Exec. Director – Delaware River Basin Commission. Dr. Collier will present The Bridges between Science, Policy and Action - Lessons Learned from the Delaware River Basin and Beyond. Learn more here. How to improve water quality across the region will be discussed by Ohio State University Extension, the Ohio Agricultural Research and Development Center and industry experts in agriculture, climatology and environmental economics during a workshop and annual conference hosted by the Soil and Water Conservation Society March 14. 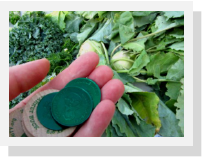 The workshop will be held from 9 a.m. to 3:15 p.m. at the Ohio Department of Agriculture in Reynoldsburg. “Healthy Water Ohio: A Strategy for Water Resources Management” by Larry Antosch, senior director, program innovation and environmental policy for the Ohio Farm Bureau Federation. “Keeping a Finger on the Pulse of Ohio Watersheds” by Laura Johnson, director of the National Center for Water Quality Research at Heidelberg University. “Fluvial Hazard Mitigation and Erosion Controls” by Robert Barr, a research scientist at Indiana University-Purdue University Indianapolis. 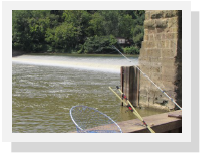 “Understanding Streamflow Dynamics to Improve Bank Stability” by Randy Keitz, a senior environmental engineer with Stow, Ohio-based EnviroScience. “Injecting Nutrients to Reduce Runoff” by John Fulton, precision agriculture specialist for OSU Extension. For complete information, read the news article. Are you interested in recording class lectures, seminars, or guest speakers? The CFAES eTeam will be hosting a webinar on recording basics and welcome you to participate and learn what tools are available to faculty, staff, and extension employees. The webinar will cover recording tools such as MediaSite, CamRelay, and provide examples of possible recorded content. The webinar will be held on CarmenConnect on Thursday, March 24 at 10 a.m. The link for the CarmenConnect room is: carmenconnect.osu.edu/cfaesonline. See the flyer for more specific topics planned for you. Have questions? Contact Meredith Luikart (luikart.6@osu.edu). 4-H educators can use this information to pass onto youth, who will likely be the early adopters and the first to steadily consume encounter and consume insects as an alternative food source. Plus there are lots of opportunities for STEM related projects and science education in general. It is also an exciting topic to discuss with youth! FCS educators can use this information to relate the nutritional qualities of insects relative to other commonly used food staples. New companies using insect ingredients may also turn to Extension with questions about cottage food information, commercial kitchen information, and food safety as they develop recipes and produce product. Plus, who doesn't love a good cricket cookie, muffin, or brownie? ANR educators can use this information to understand how mass production of insects might have lower environmental impacts while increasing feed conversion efficiencies to produce protein, compared to other traditional livestock. Companies rearing insects for food currently are asking more questions of researchers and educators related to production efficiencies that we should learn more about. 4. CD educators can use this information to help clientele and entrepreneurs identify business opportunities for the production of insects as either food grade quality destined for human consumptions or as feed stocks for other operations, such as aquaculture. 5. There will be two successful Ohio based companies, Enviroflight and Big Cricket Farms, who will present aspects of their operation on the production of insects for specific markets. 6. There will be several insect infused foods to sample, including commercially available protein bars (Chapul), cricket chips (Six Foods), and cricket flour cookies (Bitty Foods). There will also be homemade cookies, muffins, and cranberry cricket bark made from cricket flour (and some whole roasted crickets) for consumption. There will be samples available to take home for friends and family to taste as well. Registration fee of $15 includes early morning beverages and a lunch from Panera. In addition to lunch, participants will receive a 190 page FAO report published in 2013 that covers all aspects of Edible Insects; this is an excellent resource to use in any future workshops or meetings. Several fact sheets and infographics depicting some of the positive aspects of producing and consuming insects will also be a part of the resources handed out at the workshop. The goal is to increase your knowledge surrounding this topic, and enable and empower attendees to take some of these topics back to your county and teach them to clientele. 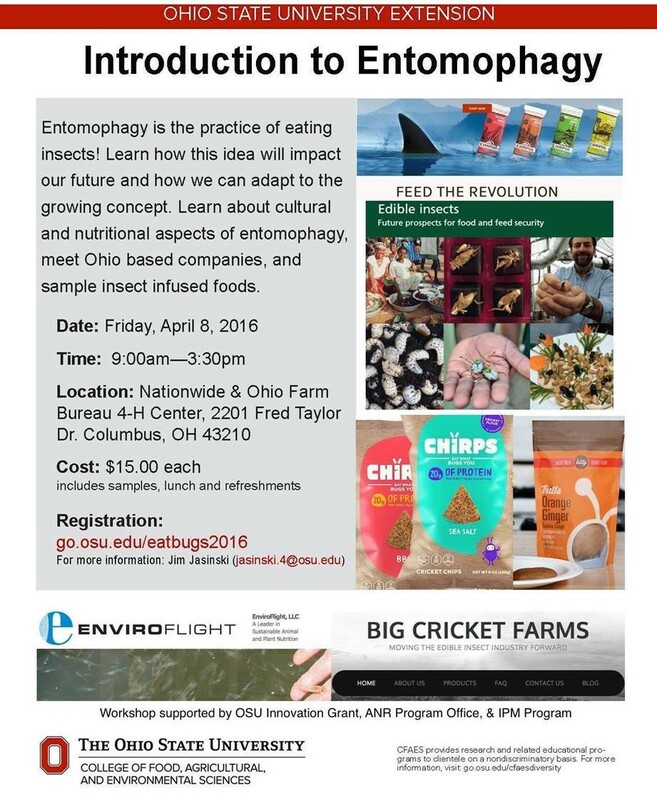 Register now for the workshop at this link: go.osu.edu/eatbugs2016. Send any questions about the program to Jim Jasinski (jasinski.4@osu.edu) or Ashley Kulhanek (kulhanek.5@osu.edu). "All Things Being Unequal: Achieving Equity & Inclusion in This Generation." The Annual National Conference on Diversity, Race & Learning (NCDRL) at The Ohio State University is one of the university's most comprehensive conferences that focus on issues of diversity, cultural inclusion and acceptance. In accordance with the university's philosophy and mission of OSU's Office of Diversity and Inclusion along with numerous Big 10 diversity initiatives, OSU hosts this conference to strengthen and make new strides toward the goal of meaningful change. The conference offers a multi-leveled examination of "diversity" as a concept and its implementation within institutions of higher education, the corporate world, the religious community, the larger community, including public service. The themes examine, through participant discourse, ways to effectively bridge the economic, political and socio-educational divides that continue to be pertinent in the American social landscape. 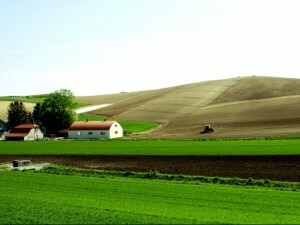 New Drought Resources Help Communities Respond - March 1 at 2 p.m. Create a photo-based map in a snap! - March 7 at 4 p.m.
Ohio State has launched Buckeye Funder, an online crowdfunding platform for fundraising that will allow donors to give directly to projects they find compelling. Buckeye Funder differs from traditional fundraising tools because of the nature of peer-to-peer solicitation with a strong online and social media component. It’s open to project teams of students, staff or faculty who need fundraising support for their schools, programs or initiatives such as service trips, events, scholarships, research or other Ohio State-specific ventures. Read more: buckeyefunder.osu.edu. Contact: Amy Murray (murray-goedde.1@osu.edu). The Subsurface Energy Resource Center invites university faculty and research staff to apply for seed grant funding for 2016. 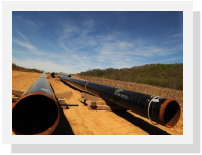 Successful proposals will advance and disseminate the understanding of energy from underground sources and the intertwined environmental and socioeconomic issues. Proposal deadline is Friday, April 15. Read more here. Contact: Dave Cole at cole.618@osu.edu. Claudia S. P. Fernandez, DrPH, MS, RD, LDN, Clinical Assistant Professor, Department of Maternal and Child Health, Gillings School of Global Public Health, The University of North Carolina at Chapel Hill, and Adjunct Assistant Professor, Department of Agricultural & Extension Education, The College of Agriculture and Life Sciences, North Carolina State University is now the Co-PI of a new Robert Wood Johnson Foundation Grant supporting achieving a culture of health in the United States. There are opportunities for schools and communities in this new funding profile from RWJF. The Foundation is putting $10 million/year into 4 different project arms (yes, that’s $40M per year). Doctoral students—any doctoral student from any field who wants to tie their work to a culture of health. There are many in Ag related fields who care about communities and economics of health, the built environment, etc. Multi sector health leaders—this is your YMCA/YWCA, churches, NGOs, community based organizations– you name it, a very large catch all category. A lot of your university-related groups could fit here. Clinical Leaders—this category supports active mid-career clinicians (MD, RN, RD, DMD, DVM, social workers, OT, PT—so think of people who work in health but also in developmental issues like adults with autism and such). Please see the FACT SHEET attached and share this broadly with your colleagues across your institutions. The national program site launched February 22, after which will start a series of public information webinars with more details about the different opportunities. Applications are due April 19. All of these are leadership training programs and focus on diversity, inclusion, and health disparities, in accordance with the RWJF mission. The OSUE guidelines for peer review have been updated and are now posted. We are in the process of ensuring the CD "Submission and Peer Review Process" instructions on our website follow the new guidelines. The updated document will be posted as soon as it is available (changes will be minimal). In the meantime, please contact Greg or Sandy if you have questions about the process. Campus Campaign 2016 starts tomorrow, March 1, and will run through Saturday, April 30. Help CFAES exceed last year’s results of 38% and reach 45% participation this year. Every gift counts, no matter the size or destination. Please visit our Campus Campaign 2016 Webpage for an easy way to give. Help us connect the dots and reach 45%. Ohio State's Flexible Spending Account (FSA) vendor, TASC, will transition to a new system platform during March 2016. The transition will include a short blackout period affecting claims processing for faculty and staff with Health Care and Dependent Care FSA accounts. During the blackout period, March 14-22, faculty and staff cannot submit claims for reimbursement, use their Health Care Flex Cards or use their FSA accounts online. Should participants incur eligible expenses during the blackout period, faculty and staff should pay for the expenses and submit a claim after March 22 to be reimbursed after the transition period. As of March 23, all current FSA participant information will be transferred to TASC’s new system. OHR will send a direct email and a postcard to all Health Care FSA and Dependent Care FSA participants in early March regarding this transition. We are pleased to announce the launch of the newly redesigned OSU CARES website! The address remains the same at osucares.osu.edu. Our goal with the redesign of our site is to bring it up to the new branding standards and to make it more easily navigable and accessible. A new feature that will be especially useful is our Partnerships page, where both OSU Extension personnel and OSU colleagues can go as a starting place when looking to build partnerships across campus to expand engagement with communities around Ohio. We encourage you to visit our new site today, and hope you find that it has a fresh look, is easy to use and is informative. If you experience any problems using the new website or if you have any questions or feedback, please contact us at osucares@osu.edu. The Rodney F. Plimpton Outstanding Teacher Award is intended to recognize and encourage CFAES faculty members with the rank of assistant or associate professor who exemplify excellence in and commitment to teaching. No more than two awards will be presented and each award includes a plaque and $500.00 for the recipient and $500.00 for the home department/school to enhance its teaching program. The nomination process is now open; please take a moment to review the attached materials and prepare nomination(s) and submit to Linda Martin (martin.1371@osu.edu) by March 21. Five learning communities are offered through the Ohio State Teaching Enhancement Program (OSTEP) for the 2016-17 academic year. Applications are being accepted through Friday, March 4. Learning communities give members the opportunity to connect with colleagues from a variety of disciplines to discuss teaching-related matters and focus on individual goals and/or projects. Read more/apply at: go.osu.edu/ostepsp16.